Power to (or from?) the music! If you are in Rotterdam and you wanna have an "energetic" dancing night, Watt is finally open and the Sustainable Dance Floor is a reality. During the last workshop at Fabrica, Cameron Sinclair asked the students to imagine a soccer team club for young people in Zambia. Thinking of the importance of music and dance in that country, Lars, Pushkar, Priya and I tried to think of how to produce electricity and save consumptions. That's how I discovered Sustainable Dance Club. appearance of the floor’s surface. actions to contribute to the collective experience. but that's spectacular isn't it? an assault of bodies, writhing against a massive assault of breakcore, sweaty rivulets of alcohol and raw bass: this was a good night. Our Jqln is in Tilburg, in the Netherlands, where she was invited to make some more miniture mayhem for the ZXZW Festival. 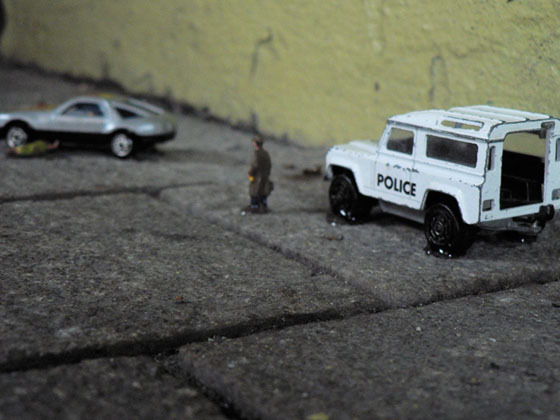 "Tiny accidents is a collection of fictional, tiny accident scenes that are constructed on the street and shared with other pedestrians. These accident sites create new landmarks and destinations for urban travelers, and strange objects in the environment serve as "architectural" props and become buildings, doorways, and rubble in a miniaturized setting; they serve as anchors for the site of an accident. Found accidents add an extra dimension to the peripatetic journey by highlighting a smaller scale of experience." ...and if you happen to read dutch, check out this interview. Our inspirational all-round-great-american-guy has left us. 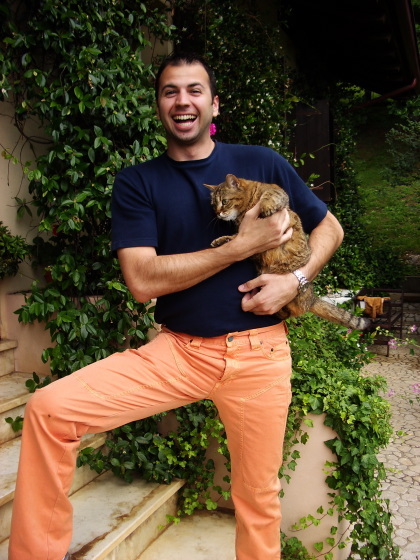 The one that proved it was possible to learn italian, win the affections of italian women, men, all fabricanti, and integrate smoothly into italian culture, including coloured pants. What was life like before Fabrica? I bounced around the globe quite a bit for both work and for personal experience. I was freelancing as a director/shooter/editor so that gave me the freedom to live like a hobo, but a little more professional. Wandering down to Puglia (the 'heal' of Italy), looking up the address of where my grandma was born, and cruising around that neighborhood. People started to find out what I was up to, so they would take me door to door trying to find someone that might be related to me. Next thing I know, I'm in the dining room of a family with the same last name as my grandparents. They kept feeding me and pouring homemade wine down my throat, so we sat and talked for hours. We never figured out if we were related, but enjoyed the afternoon all the same. Ogni momento con Tito e Mario, i miei migliori e più scemi amici a Treviso! Fratelli, voi ne avete fatta mille volte più bella la mia esperienza in italia. Vi ringrazio per tutto che mi avete fatto! Every conversation at "Mom's Pizzeria" or at the "Old Man Bench" or just at the apartment with Scott. I'll miss you bro, come visit soon! Working CRAZY hours writing with Lottie, psychotically punching out scripts and ideas. Writing with Donovan, and releasing some of the most ridiculous concepts that have come out of my brain in a long time. Traveling around the world with Alex, filming in some quite different situations, but having a good teammate throughout the whole experience. Imparando le canzoni nuove (le classiche italiane) durante il passaggio a casa con Piero! Si, si...ho voglia di andare a caaaaaaaaaasa, a casa dove?! Pranzo con Enrico e tutti da Advertising, "no olio… no party." And every single morning over a year and a half when I woke up, looked outside, and said to myself, "Wow, I'm actually living in Italy." I just spent some time back at home in Phoenix, Arizona eating some good home cookin' with the family and catching up with old friends. This weekend I'm moving back to Los Angeles and will freelance as a director/cameraman again. I plan on buying a surfboard right away and most likely hurting myself really badly shortly thereafter. For my own projects, I want to keep shooting short films, but with content and a method that just makes me happy doing it from beginning to end. There's nothing more exciting than creating something and realizing that you've had a smile on your face throughout the entire process. Brad, you are dearly missed...! 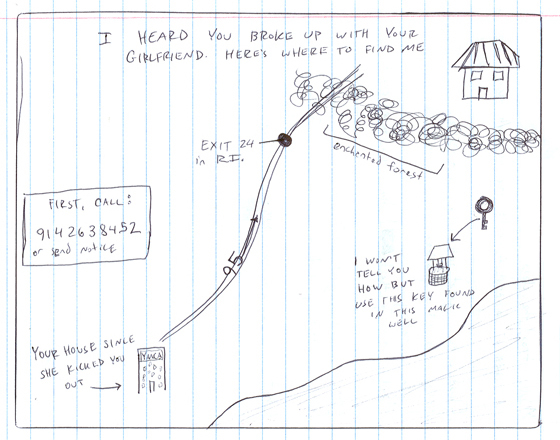 A site for lovers of hand drawn maps...not too many yet but wicked idea. Last night I saw a brilliant set at the ZXZW festival by 8GB, who also played with Stu, Goto80 and Computadora. He is currently touring the Netherlands but hails from Buenos Aires. 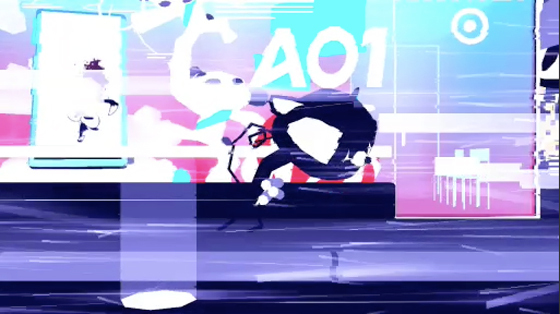 I absolutely love his techno-fetishized 8 Bit World Order, because he was rocking the set like it was going out of style. This is 8 bit at its best. On a day drenched with rain, the Jorn Utzon exhibit at this year's Venice Biennale provided shelter and stimulation. 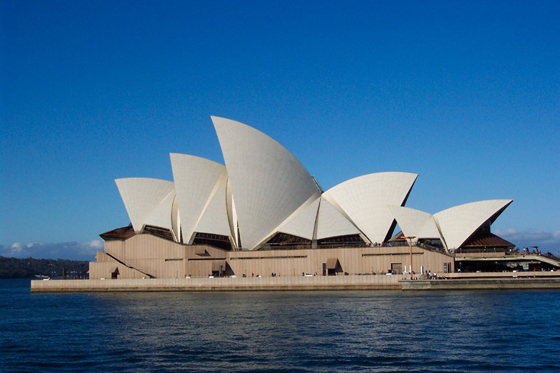 The exhibition has a number of models and plans of the buildings he built, most notably the Sydney Opera House. There was an interesting video segment explaining how how all the wedges that sit atop the Opera House are all pieces cut from a sphere. He rearranged these shapes until they attained a compositional and spatial rhythm that he found pleasing. Because they are all from the same shell of a sphere, they have a natural harmony that we can unconsciously perceive. Deriving it from a geometrical body helped him find that natural harmony - it's really quite profound and beautiful once the underlying logical form is made apparent. I have finally acquired documentation of the posing machine from Dr. Tine Papendick of the OF Lab. The current status of the posing machine is unknown. One of the street events that we encountered in Linz was "Perfect Human Performance", a piece by Mika Satomi and Hannah Perner-Wilson (with Ivana Kalc as a dancer). Ivana was surrounded by radios on all sides, and moved in distinct poses as if a robot had choreographed it. As she bent her arms or legs, a phrase would emanate from the radios: "See her falling, see her falling". In a square adjacent to her, if someone watching stepped into that space, she would mimic their moves. This evoked a perception of a technological body that is subordinate and follows instructions. She is still human, though, so there is more apprehension in a passer-by to step into the square and, in a sense, control her. Still, it is a lovely idea. This project is a collection of light posts which stand around waist height. They are freestanding but weighted so you can swing and rotate the top around. As they move around they light moves through hue and intensity... like moving around a virtual color wheel. Gorgeous. I first saw this project when I went to an Interactivos workshop in Madrid last June; Julian's project was on display at the Prado Medialab, where he completed the project at a previous Interactivos workshop. As a prototype, it has gone through a lot of user testing during its installation. It's really a beautiful piece. It consists of a box with different patterns on each side; a camera is pointed towards the box (and the user). When the program detects a pattern, an image is superimposed onto a side of the box via an overhead projection pointed towards a wall in front of the visitor. This view shows a 3-dimensional space within the box with a figure inside that can move to and fro by tilting the physical box itself. When the figure inside the space approaches a door, it can then move to another room; you find out which room its in by rotating the box and looking for it in the projection. It's fun to play with, too! There is a reason why I don't draw as much as I used to; it's much faster to model sketches or compile images on the computer, and I think, why bother? Then something like "Ten Thousand Cents" comes along, and drawing makes sense again. The project is online, and workers were paid one cent each via Amazon's Mechanical Turk distributed labor tool. What they were drawing were tiny fragments of the 100 dollar bill, and combined all-together, it cost $100 to produce. It's simply a beautiful way of commenting on labor distribution. This is a wonderful project. 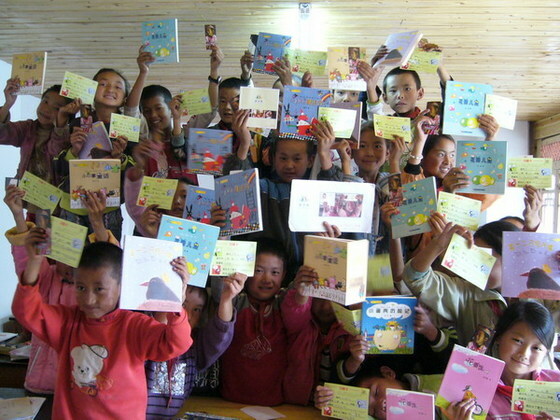 This website is a tool for helping provide rural schools in China with resources they are lacking. The organisation is targeting backpackers in China (of which there are about 300, 000, 000 per year) as their contributors and distributers. They ask them to carry one more kilo in their backpack in the form of books, stationary and other resources to a school along their journey. Backpackers can use the website to get information on the schools in areas they are visiting and connect with them. It's a really nice way for travellers to give back to the places they are visiting, and meet local people. At the moment the site is only in Chinese, but hopefully we'll see other languages in the future. When you align these little independent pieces together, they react to each other, so you can create your own mini theatrical performance. This particular show was choreographed by Jqln, and I name it "Etiquette at the Park - Act 1". A project from Yasuaki Kakehi, Takeshi Naemura, Mitsuhiro Matsushita. I love this...no electronics or mechanics...an example of interactive art in it's purest form. Of course there are disadvantages for non-programmers. Suppose you want to see hearts fly from the collision of two marshmallow ponies desperately in love. Perhaps you don't have a game controller and want to play super mario brothers with your body, leaning and jumping as Mario would. Perhaps you want... a posing machine? This is where the OF Lab comes in, with their team of talented programmers ready to grant wishes to any visitors of the OF Lab. What is OpenFrameworks? It is an open source initiative started by Zach Lieberman and Theo Watson. "openFrameworks is an open-source, cross-platform C++ library for creative coding. The library is designed to assist the creative process by providing a simple and intuitive framework for experimentation." 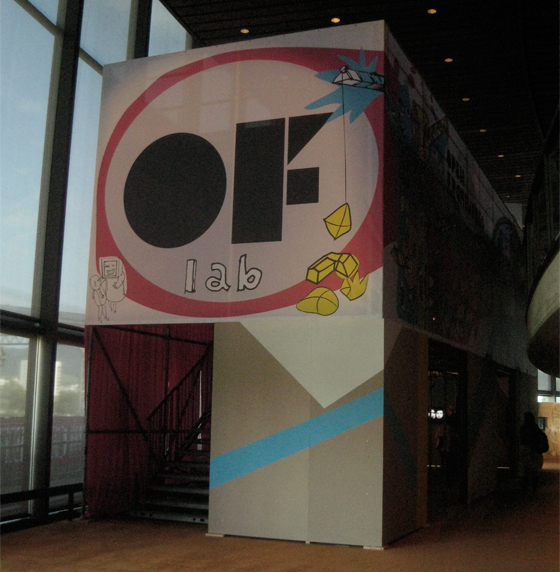 The OF Lab is a three-story temporary construction with works displayed on monitors on the ground floor. There is a whiteboard with five blank spaces that visitors fill out with five words of their choosing. The visitor then poses in front of a camera with their words, takes a snapshot, and sends it up to the OF lab workers through various means. At first, there was a hole in the ceiling with a bucket that you put an idea in, and the bucket was pulled up to the second floor to enter the queue of ideas. With the overwhelming amount of submissions, however, for the remainder of the festival ideas were hung from a clothesline with clothespins. The programmers work on the second floor; there are monitors hooked up to security cameras so that visitors can see them from the first. The third floor is a lounge area with huge square pillows and lots of electrical outlets. Continue reading "OpenFrameworks Lab at Ars Electronica"
A special fabric reflects light precisely at the angle it hits, so it's possible to project a background scene onto the fabric and have the two scenes merge perfectly - the fabric becomes (almost) invisible from the right perspective. I can imagine one could pull some great cctv interventions with this system if one was rebellious. A project by Takumi Yoshida, Hideaki Nii, Naoki Kawakami & Susumu Tachi, in collaboration with Junji Watanabe (NTT/JST) and Nathan Cohen. Project by Takuji Narumi, Atsushi Hiyama, Tomohiro Tanikawa and Michitaka Hirose. A piece that exemplifies artificial life is “Automated Table Modification”. The premise behind it is to show what service automation might look like with the aid of robot “partners”. Objects like spoons and cups appear to move on their own on a table with a grid of coils underneath the surface. Enhanced by the proximity of Paul Granjon's “Robot Rabbit”, the experience was like that of Alice down the rabbit hole with rabbits muttering “robot, rabbit”, and objects moving randomly of their own volition. I was really impressed with the Campus Tokyo exhibit, which displayed a number of student and faculty work developed at the University of Tokyo from the departments of Information Science, Information Studies and Engineering. It proves that art schools aren't the only breeding grounding for the next generation of new media artists. One of the pieces that I particularly liked was “Sticky Light” because of its lo-fi approach. A red laser that projects a circle travels along patterns that it sees below it, following lines or bouncing off dark tape and small squares. There were different examples shown; one followed a maze pattern, another was a game of pong where the boundary edges are analog pieces of black squares that you move around randomly. The paradigm of edge detection is one we're already quite familiar with, but the aesthetic quality of the laser seems novel and entrancing. I'm not excited anymore by technologies that I've seen already, unless they're used in unusual ways. Continue reading "Campus Tokyo | Hybrid Ego"
This installation by Jörg Niehage is a arrangement of "accoustically usable finds" (plastic toys, electronic and mechanical junk) on a picnic blanket. A projected cursor over the landscape allows the user to click on a mechanism/instrument, activating it. 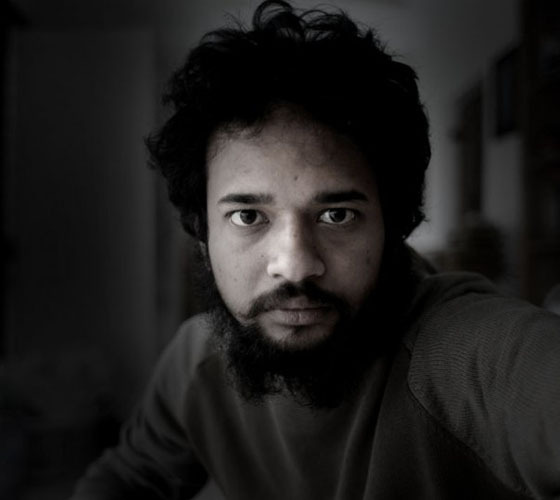 The outcome is a wonderful lo-fi electronic composition. This mesmerising performance was part of the opening night's events at ARS Electronica. Artists Evenlina Domnitch and Dmitry Gelfand used laser light to scan the surfaces of soap bubbles. The membranes of the bubbles provided an infinite landscape of refraction - resulting in the most beautiful and delicate streams of colour. 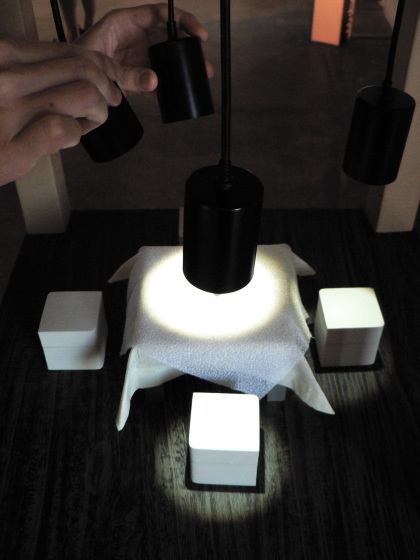 Audio was created by converting the light into sound with a program by Bas van Koolwijk. Evenlina's pink fox-like costume was also very impressive. Pollution and smoke is made apparent in unusual ways with the 'Pollstream' project, which explores man-made clouds through a collection of ideas and images. Our very own judge and boss, Andy, is seen here smoking inside the exhibition space in one of their constructions. This light bulb responds to a high amount of smoke and emits a warning (red flash and an alarm) to alert one of excess smoke in the area. The engagement of the piece through smoke is a poetic means of activation, and ironically enough, it makes one want to smoke. Continue reading "pollstream and smoking indoors..."
Undoubtedly and deservedly one of the best projects in the Interactive Art category at Ars, 'Image Fulgurator' is this year's winner of the Golden Nica. This is a device that looks like a camera but has been hacked to function in a different manner: it detects light flashes in the vicinity by other cameras. When a flash goes off, rather than taking a photo, this device flashes an image onto whatever it's pointed at. The result? Loads of other cameras capture an image with something in it that wasn't there beforehand. For example, Mao's face in Tiananmen Square can unexpectedly have an overlaid image of a bird with outstretched wings on it. While we doubt the truth of photos in print or on the web, we tend to believe the photos we've taken ourselves. This ingenious method of real-time image distortion turns into one of the most subtle subversive activities I have ever seen. Sleevage is an Australian blog all about music cover art. From the LP’s of the 60’s to the digital artworks of now. They are currently looking for writers who want to regularly submit to Sleevage in exchange for free CD’s and concert tickets. Here you will find their contact. 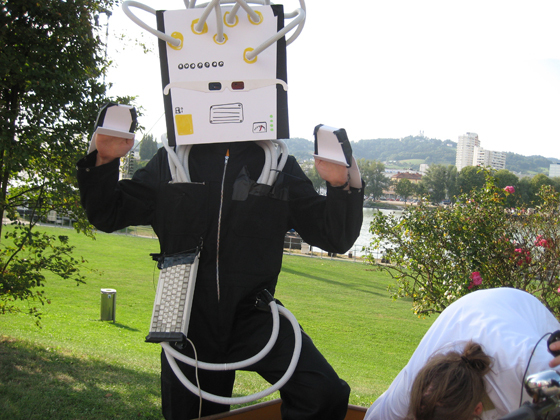 Lizy and I are going to Ars Electronica this weekend. 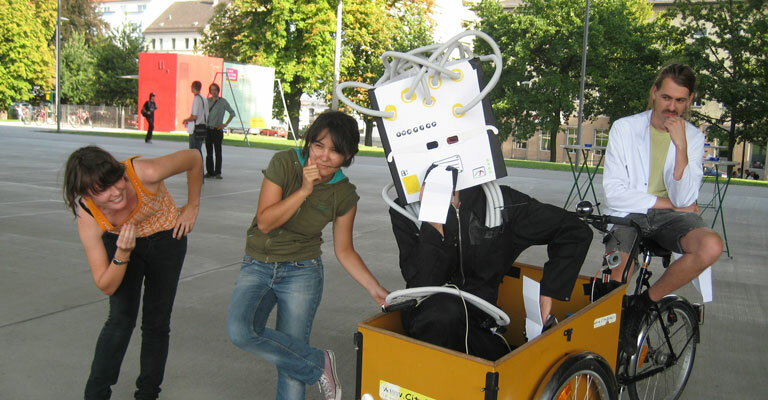 Ars Electronica is a festival established since 1979 that fosters experimentation and process-based art, and is a breeding ground for innovation and new ideas. Our boss, Andy Cameron, is one of the judges this year. The theme is 'A New Cultural Economy', and many of the artworks and seminars are based upon the subject of dissemination of information in a open knowledge-based society. We will be meeting with other artists and hope that a couple of beers can serve as a catalyst for new vision and inspiration. We are artists as much as researchers, and Ars Electronica is a viable research tool that we will take advantage of while the opportunity is here. My personal goal? To have as much fun as Tilda Swinton.